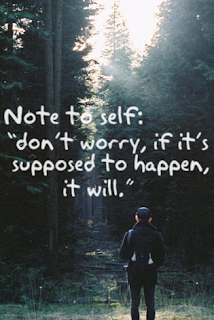 Sometimes we get so caught up worrying about what might happen in our lives. We want something so badly that we lose sleep at night pacing the floor hoping and praying that things fall into place. But what we need to remember is that if something is suppose to happen, it will. Some things in our lives are out of our control. We can't change how others will act, say and feel. We can only change ourselves. Don't worry. Be happy with your life and your circumstances. 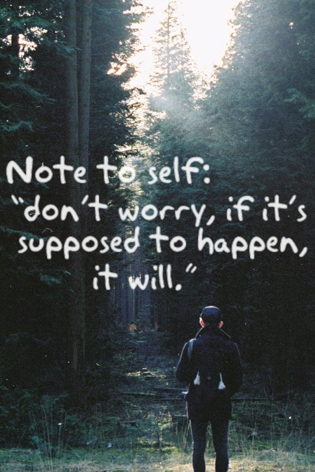 If things are suppose to happen in your life, they will. There is no need to waste time fretting about what might be. Found on Pinterest: If not now, when?